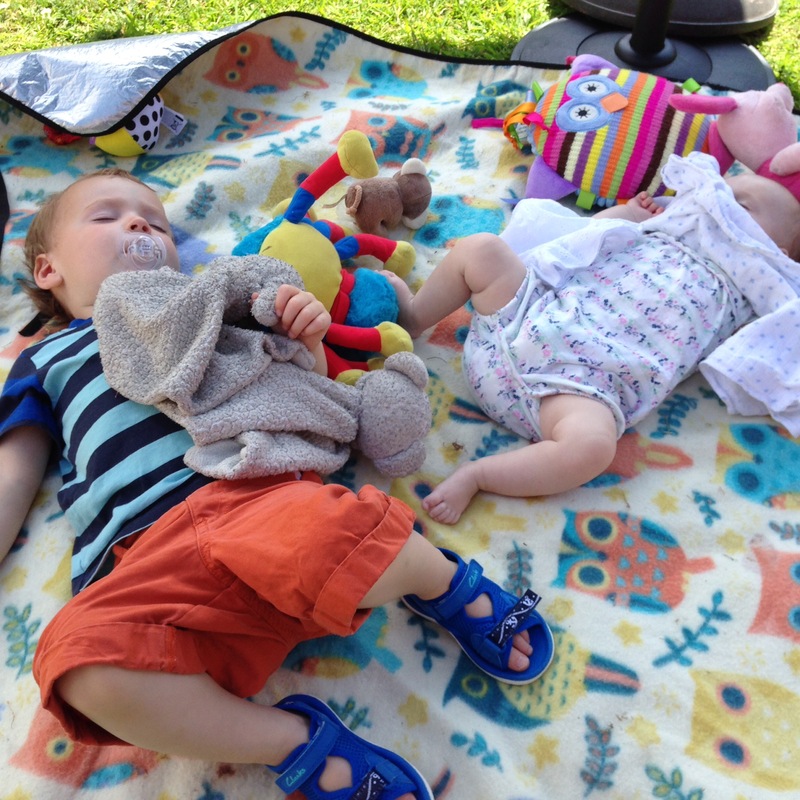 So we’ve had an early summer this year which can only mean one thing – playing outside! It’s amazing how a little warm weather can make all the difference to a day and ever since the sun has been out we’ve been spending the majority of our time doing outdoor activities. A lot of the time we have just played in the garden. We had a new patio laid in an attempt to not only make the garden look nice but to avoid an inevitable serious injury that the uneven, stony ground was going to cause. 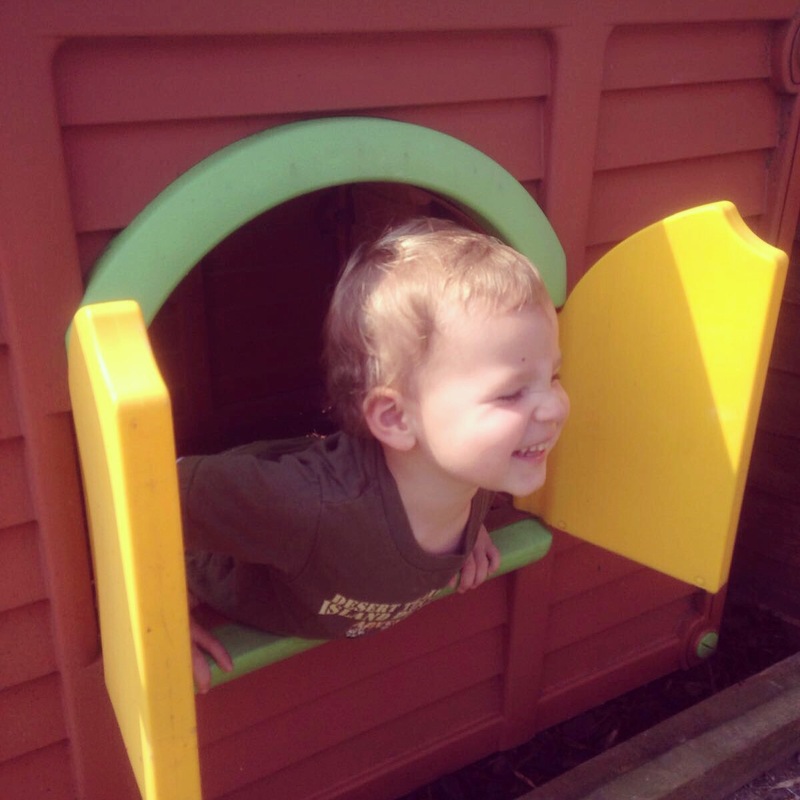 Next to the patio I put some bark chippings and a playhouse and an old plastic toy kitchen. It is here that baby boy now spends the majority of his day. I drink endless cups of tea and eat plates of cake, all of the plastic variety, thoughtfully made by my 2 year old. It’s great fun. The park is another favourite place at the moment. If I had to guess I would say that 60% of time there is spent on the swings, 30% on the slide and 10% on everything else. 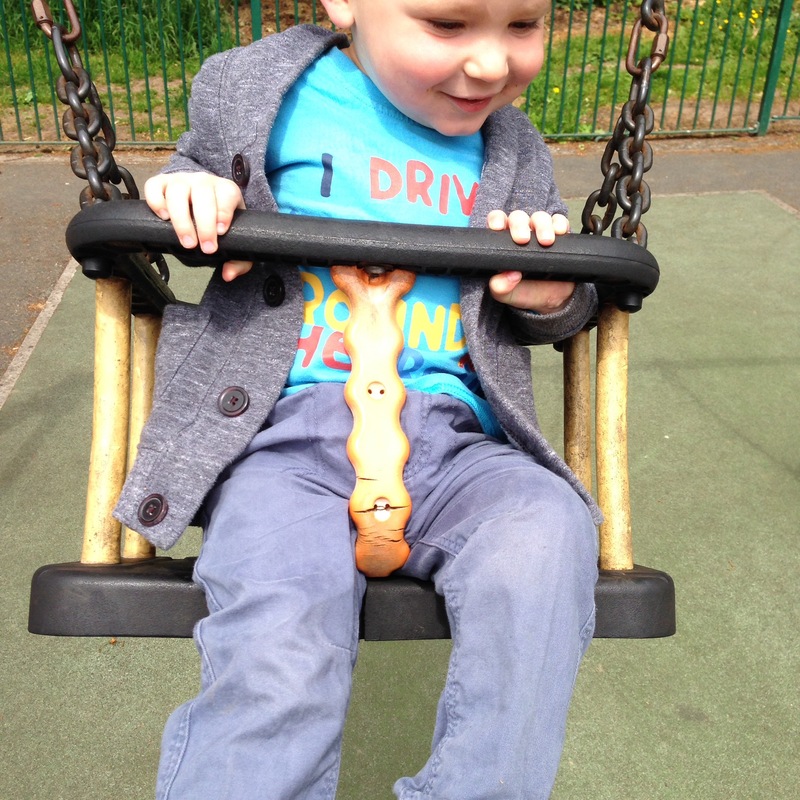 For a 2 year old, swings rule! For a Mummy, swings mean aching arms and getting kicked repeatedly when she misjudges the push. Baby boy loves them though so I give in to his cries of again, again because the look on his face and the laugh that escapes as he flies higher gives me the best feeling in the world. It is tiring work playing outside though. Baby boy stopped having an afternoon nap shortly after baby girl was born but these past few weeks he has quite often fallen asleep for half an hour in the middle of playing. When it coincides with baby girl having a nap I feel like it’s my birthday and Christmas rolled into one (although they are actually only 3 days apart so at the time do feel like they are rolled into one). I actually got 2 fence panels painted yesterday! Hopefully the summer has only just begun and we will have plenty of time outside. I am looking forward to baby girl learning to crawl on the grass, baby boy splashing in the paddling pool and hope against hope … A BBQ!